Enjoying delicious and quality food is so important to us at Petit Soleil. We have many local farmers and growers to source from, as well as Cal Poly eggs, Central Coast Roasters coffee and organic dairy products for your breakfast every morning from 7:30a-9:30a. We bake everything fresh; coffee cakes, scones, granola, biscottis, quiche, egg stratas. We will try to accommodate dietary restrictions, especially when you let us know before your visit. 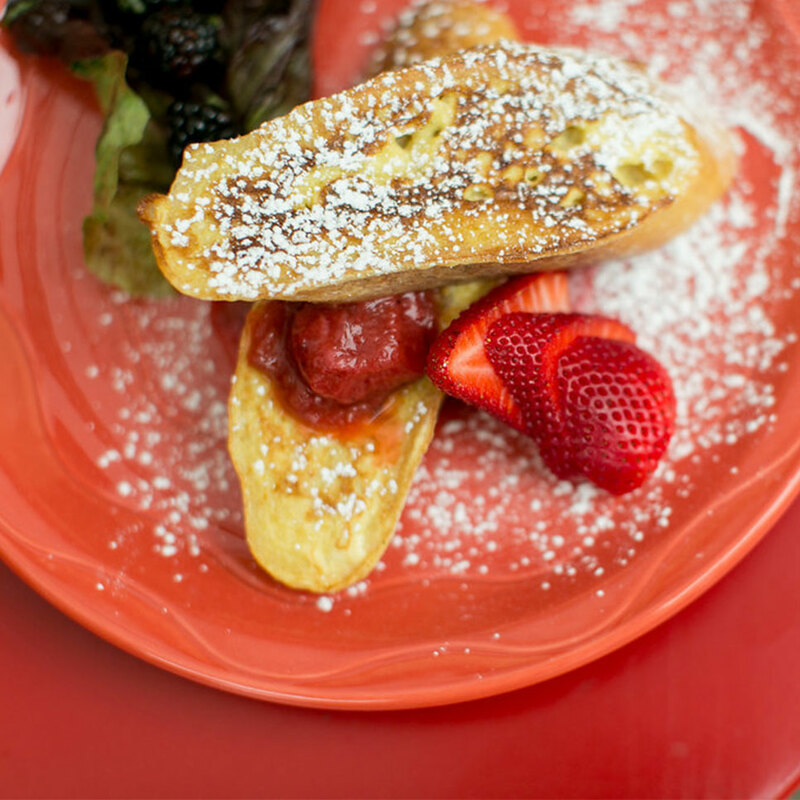 Breakfast is served every morning from 7:30a-9:30a – (coffee at 7 am) in Café Soleil or in our sun warmed garden patio. We always offer a savory and a sweet entrée hot from the kitchen or you can just enjoy our abundant buffet. Breakfast at Petit Soleil is an extraordinary experience. 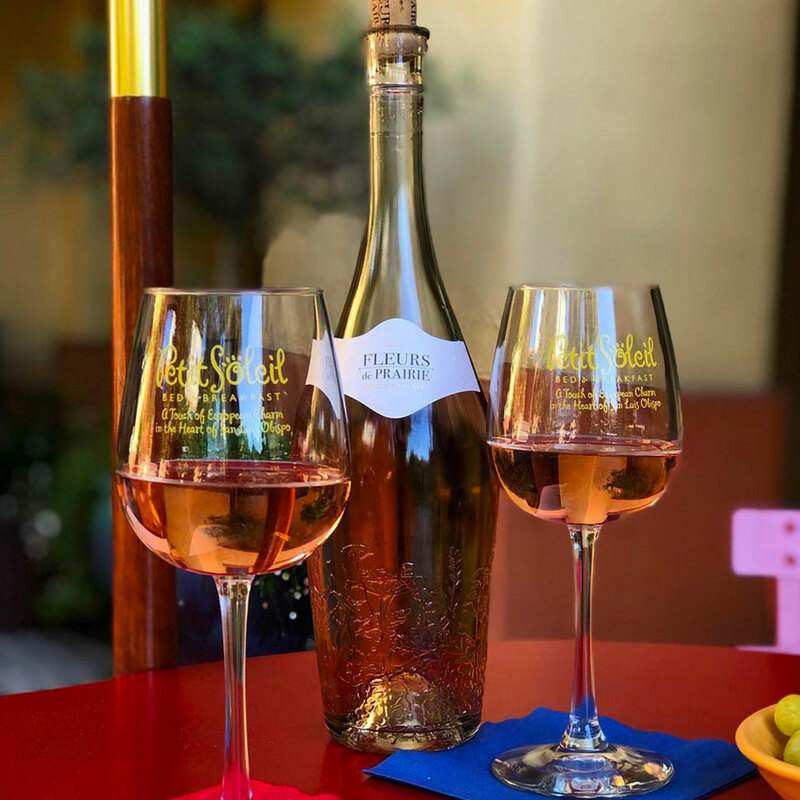 Every evening from 5-6:30 pm Petit Soleil shares favorite local and French wines paired with a specially prepared Amuse Bouche. It is a lovely time to sip and nibble, chat about dinner or the days events or to just sit quietly and enjoy a memorable glass of wine with a special someone.